As warehouse operations become more critical to overall supply chain success, Euclid Beverage LLC, implemented the AFS Warehouse Management System (WMS) to increase visibility and control over its inventory. To help improve inventory control, Euclid Beverage partnered with AFS Technologies to advance communications with MillerCoors and to develop inbound advanced shipment notifications (ASNs). The results benefited both parties. Euclid received accurate shipment information and eliminated the manual key-in process, while the information provided to MillerCoors provided greater visibility and historical shipment data that could be used to make improvements to the overall shipping process. Increased Cases Picked: Cases increased to 240 per hour and voice directed picking enabled the company to go from picking 27,000 cases to 50,000 cases in the same time frame. Improved Accuracy: Voice and RF directed picking generated a significant increase in picking accuracy and improved customer satisfaction. Decreased Costs: Labor costs were reduced dramatically as a result of receiving efficiencies and improvements in inventory accuracy. Following the AFS WMS implementation, Euclid Beverage experienced sizable improvements to their inventory reconciliation both daily and at the end of the month. The ability to better manage shrinkage, lost beer, and understanding where inventory is at all times immediately impacted the distributor’s bottom line. A growing number of food and beverage companies have been turning to advanced software and technology tools to help reduce costs and optimize profits in the warehouse. Optimizing warehouse performance by reducing labor costs, improving space utilization, and increasing inventory transactional accuracy benefits warehouses as small as 10,000 square feet. With the lowest total cost of ownership, over 25 years of dedicated food and beverage industry expertise, and the only solution guaranteed to maximize efficiencies for 3PLs, 4PLs and dedicated warehouses, AFS Technologies understands what it takes to improve companies’ order to cash process. Euclid Beverage LLC operates as a wholesale distributor of beer. The company also provides long term capital to the beverage industry. 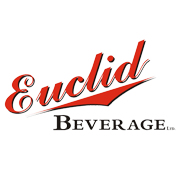 Euclid Beverage LLC was incorporated in 1981 and is based in North Aurora, Illinois.